It can't just be me—I'm seeing the 1990s fashion trends that I actually wore in the decade popping up everywhere I look, including in my own closet. I love the '90s mostly because I was born halfway through the decade, so I get to look back nostalgically on my earliest days. The '90s have never been more relevant than they are now, but it hasn't been until recently that 2018's fashion trends have hit so close to home. Clear bags, rainbow jewelry, color clashing—fashion's giving me free reign to dress like a kid again, and I'm not mad about it. Not mad at all. Apparently, every other '90s baby is feeling the same nostalgia as I am, so I enlisted the help of my sister and another Who What Wear editor to make sure I wasn't the only one feeling like 6-year-old me predicted the best trends of 2018. It turns out that we were all way ahead of our time (or maybe we're all just really nostalgic these days). Anyway, all I'm saying is that there is a reason it feels like we've seen this summer's most stylish items before. Go on to see how we wore the trends then and now. Warning: Cute-slash-embarrassing baby photos lie ahead. 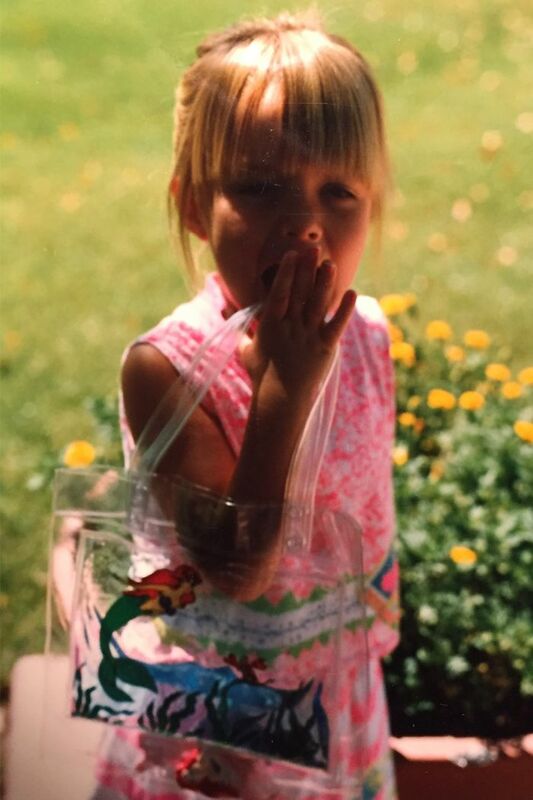 How cute is Who What Wear's associate editor, Kristen Nichols, as a kid toting around a clear bag? Any other Little Mermaid fans in the house? Here's my older sister, Jennifer, sporting a bucket hat that she styled with a multicolored choker necklace. So weird—it's like she knew both of those would be huge in 2018. Here I am sporting two multicolored beaded anklets. Even though I wear an anklet every summer, it's only recently that I've begun to crave whimsical rainbow jewelry again. Here I am in the present day wearing not one but two trends that I was definitely a fan of at the age of 6. I tested out wearing seemingly unexpected colors together, and it reminded me of the first few years I was allowed to pick out my own clothing and I went overboard with all my favorite colors. I love this trend because it can be so subtle and yet it is such a playful top for the summer months. Available in sizes 1X to 2X. All those colored and bejeweled hair clips you used to wear? Well, they're back and better than ever. Now you're sure which 1990s trends to resurrect.